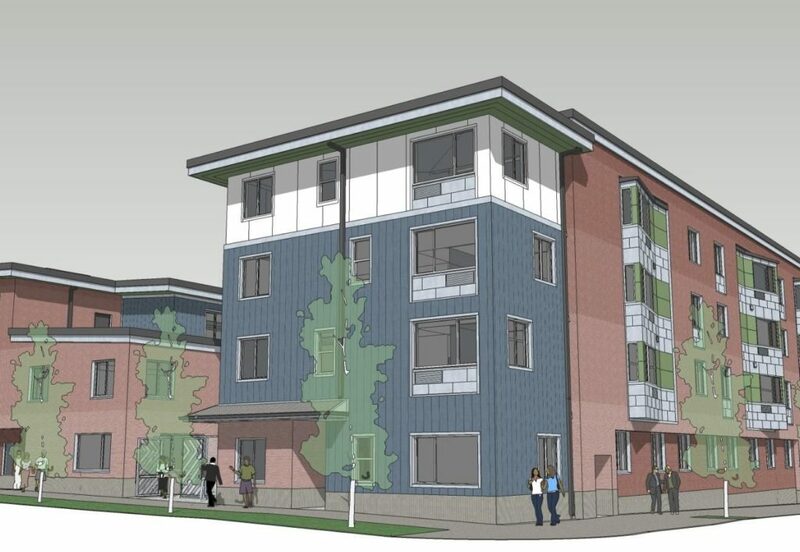 A building permit was issued for PCRI’s King Parks Apartments. The development will include 70 residential units, 50 of which are larger family-sized two and three bedroom units. All rental units are affordable to households at or below 60% of the area median family income (MFI), with 24 units affordable to those at or below 30% MFI. Every week, the Bureau of Development Services publishes lists of Early Assistance applications, Land Use Reviews and Building Permits processed in the previous week. We publish the highlights. This post covers January 7th to January 13th, 2019. 6-story market-rate apartment building (approx 200 units) with below-grade parking. Construct (2) nine unit apartment buildings and (2) twelve unit apartment buildings. Complete two lot confirmations to produce four individual legal lots that will each site an apartment building. Remodel/conversion of former retail space to a Bowlero bowling facility with arcade, bar and food service components. Includes facade modification and exterior signage. A Pre-Application Conference to discuss construction of a 6,700 square foot, two story office building and a 3,500 square foot warehouse. Fifteen surface parking spaces are proposed with access from NW Roosevelt Street. The approval criteria for this review are found in Chapter 33.815.125 of the Portland Zoning Code.